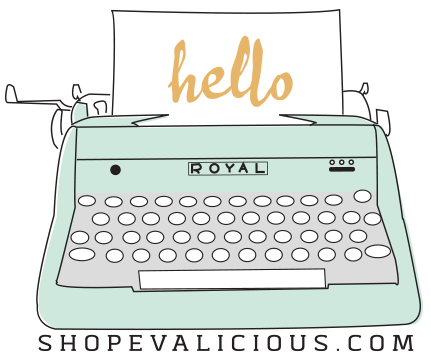 Hello Evalicious fans! Christine here today to show you a layout I made that came together quickly using mostly goodies from the new Escape collection! For this layout, I first spread a very thin layer of gesso onto my background cardstock using a foam brush. The thin layer allowed it to dry very quickly. Then I layered some upcycled silver star cellophane on top of my gesso to create even more texture and interest. I used one of the new Escape Large Tags for journaling. One of the things I love to do to create layering and texture is to staple a tab onto a photo. I also used the hello photo stamp and fussy-cut it. Then I outlined the shape with an orange Sharpie pen, because I used light gray and the color didn’t pop out enough. I adhered it to the layout using foam adhesive to make it more dimensional. And of course, I couldn’t complete an Evalicious layout without using a badge button! The new Escape collection is available in the shop, as well as the totally awesome new stamps! Lovely layers and page! I like how you incorporated that little baggie!